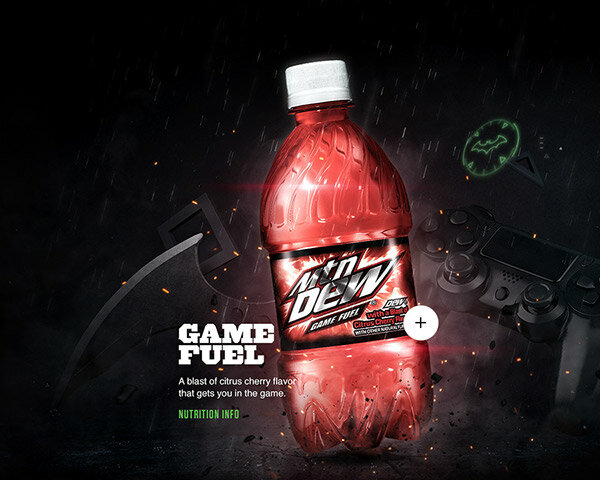 Mountain Dew and Doritos teamed up with PlayStation to bring you closer to gaming greatness and give you exclusive rewards. After buying products and receiving codes you can unlock in-game content and enter weekly sweeps, where you have a chance to win a Limited Edition PlayStation 4 Bundle. 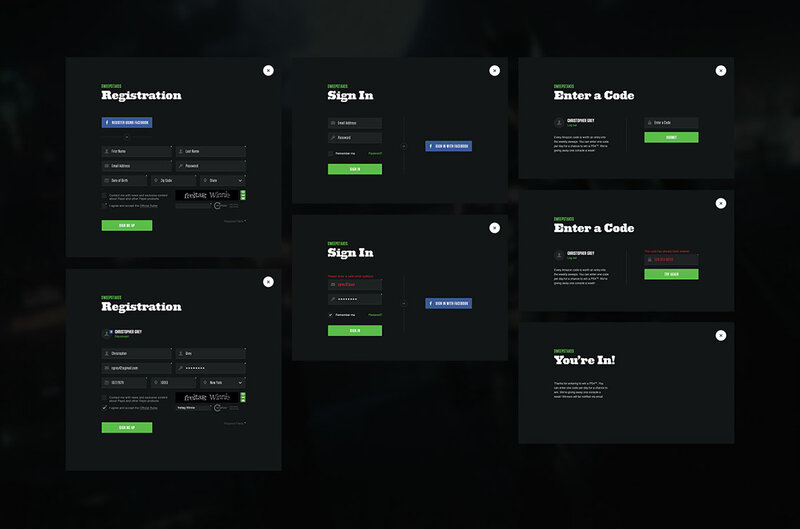 While working at Firstborn they got hired to create a website, which we called PWRUP, that promotes these exclusive rewards and explains how you can unlock them. This website features a new game and rewards each 3 months. I was asked to create the edition for the much anticipated game Batman: Arkham Knight. Using cinematic effects to display the products and rewards making them look like they came straight out of the game. Another unique feature of this edition was the possibility to enter the weekly sweeps for which I also created the flow and look. 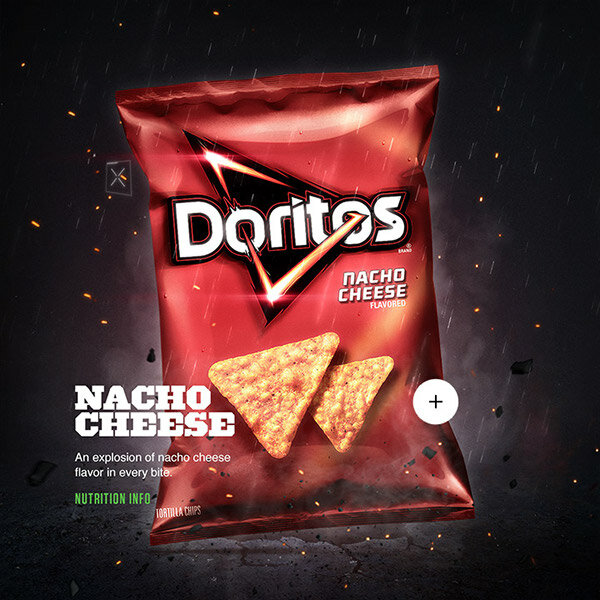 Mountain Dew and Doritos teamed up with PlayStation to bring you closer to gaming greatness and give you exclusive rewards. After buying products and receiving codes you can unlock in-game content and enter weekly sweeps, where you've a chance to win a Limited Edition PlayStation 4 Bundle. 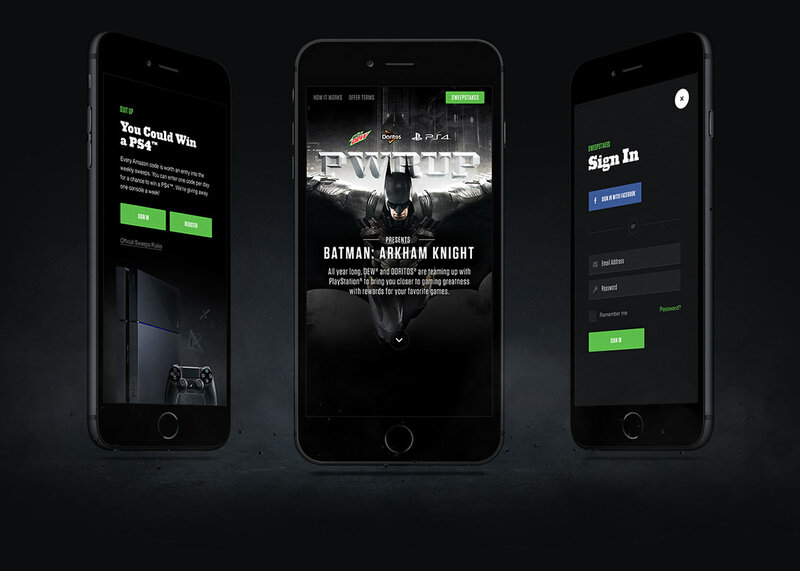 Firstborn got hired to create this digital platform, which features a new game each 3 months. 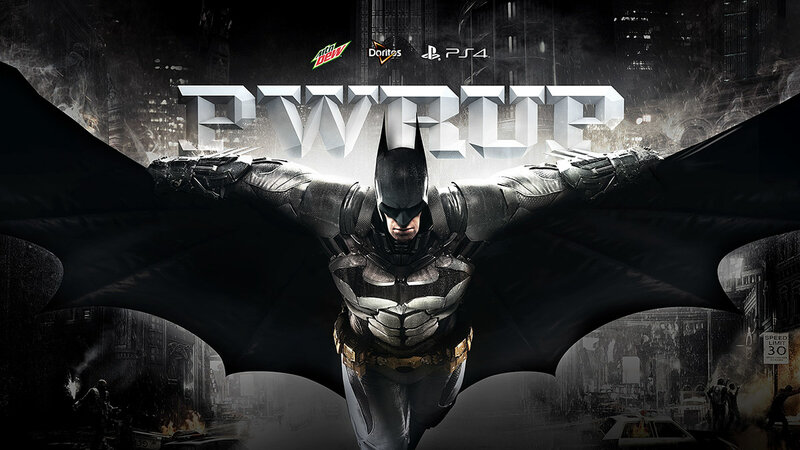 I was asked to create the edition for the much anticipated Batman: Arkham Knight game. Using cinematic effects to display the products and rewards making them look like they came straight out of the game. Another unique feature of this edition was the possibility to enter the weekly sweeps for which I also created the flow and look.